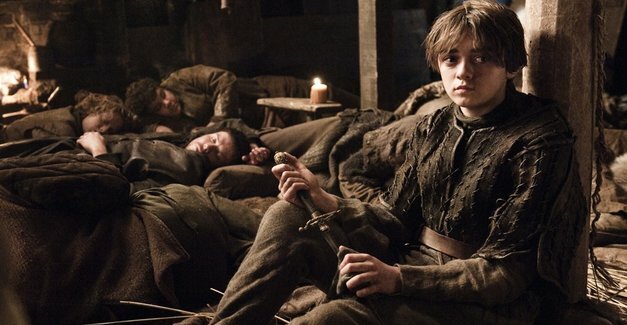 It’s been over two years since Walt Disney Studios announced that they would be releasing a live-action adaptation of their animated classic The Sword In The Stone with Game of Thrones writer/producer Brian Cogman hired to work on the screenplay. The original, which is an adaptation of the novel of the same name, was an animated musical comedy. Now the film has found a director in 28 Weeks Later director Juan Carlos Fresnadillo. More on the story below. 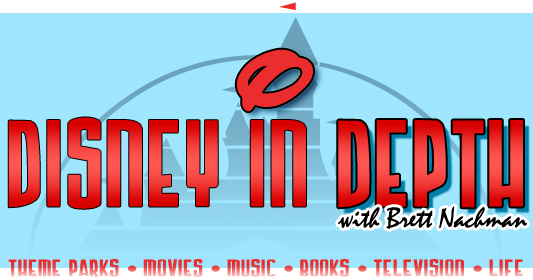 Walt Disney Studios has announced a plethora of live-action adaptations of their animated classics, and it looks like they won’t be stopping any time soon. To add to their already growing slate, the studio has just announced that they will be adapting The Sword In The Stone with Game of Thrones writer/producer Brian Cogman working on the screenplay. Maisie Williams, who plays Arya Stark on HBO’s Game Of Thrones, took a recent vacation to Disney World in Orlando, FL, where she was able to pull the famed sword from the stone at the Magic Kingdom theme park. Check out the photo here below of the 16-year-old actress at Disney World at the end of August, sporting Minnie Mouse ears and happily lifting the sword. The Sword in the Stone attraction, based on the 1963 animated Arthurian movie, is located in front of Cinderella’s Golden Carrousel in Fantasyland. 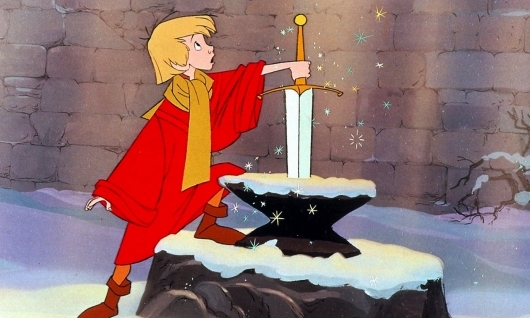 Back in the 1990s, there was a “Sword in the Stone Ceremony,” where Merlin would select a child from the crowd to pull the sword out of the stone. Although there’s no longer a show, guests frequently take photos at the park attempting to draw the sword. While the sword is typically firmly in the stone, periodically, a guest is able to remove it. 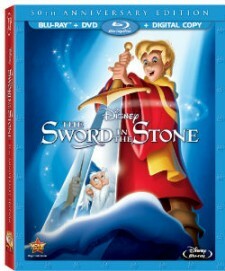 Wart, the protagonist of The Sword in the Stone, pulls out a shining treasure for his kingdom, but unfortunately Disney isn’t extracting anything extraordinary from the vault in releasing this 1963 feature on Blu-ray. Bring in the storybook opening with a narrative song. England lay in the midst of the Dark Ages, as no individual has been able to pull the title sword from the stone. Who will reverse the curse? Merlin, the blue-caped wizard with a Santa Claus-like beard, has someone in mind. Cue pre-teen Wart, otherwise known as Arthur, a moppet who literally falls into Merlin’s cottage as he searches for an arrow in the forest. The ancient force soon enlists Wart in magical tutoring sessions that encompass much of the movie.